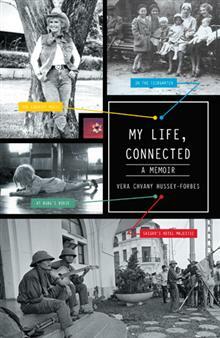 From an early age, author Vera Chvany Hussey-Forbes knew her mother didn’t want her. When her parents divorced, Vera’s mother began a campaign to obliterate the child with a concentrated regimen of emotional abuse. Thus began Vera’s two-layered existence. In My Life, Connected, she narrates the story of her life, beginning with the ways that the trauma affected her. Vera shares how her mother made her feel like she was ugly, untalented, and unlovable, and how Vera’s first husband later followed suit, never appreciating her for who she was. In her memoir, Vera describes how she overcame the negative treatment to become the best in everything she had to offer—as a painter, singer, songwriter, actress, lover, and mother of three sons. She discusses the highs and lows as she experienced operas and orgies; dead pigeons and paralysis; ballet and bats; fleas, a fish run, and fire; and lovers and laughter. Honest and unabashed, My Life, Connected tells how Vera’s friendly disposition and curious personality enabled her to conquer abuse, make connections, and form incredible friendships with people from all walks of life. Vera Chvany Hussey-Forbes was born in New Jersey and has lived in Europe, New England, California, and Hawaii. She established successful careers in both music and art. She is now retired and enjoys visiting family on both US coasts and in Hawaii.